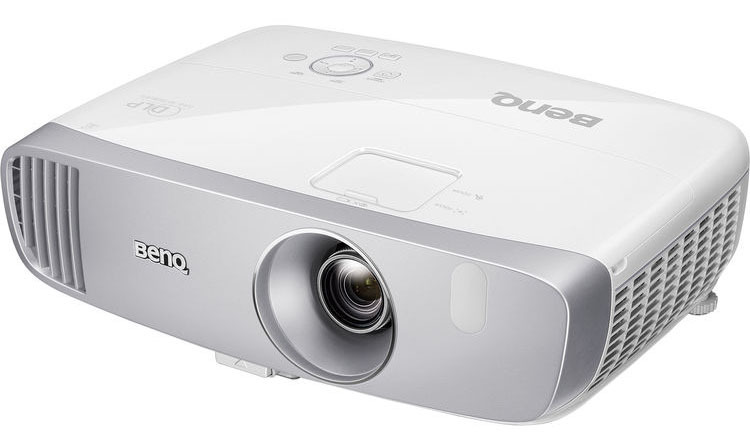 The BenQ HT2050A 3D DLP Projector delivers top-level color accuracy and a bright, saturated image for just $749. Packed into a small seven-pound chassis, it sports vertical lens shift, flexible zoom, a 10-watt speaker, and 3D support for those who are still fans of the genre. A single-chip DLP light engine promises decent contrast and a super-sharp image through a high-quality lens. Gamers will enjoy the low-input-lag mode for its lightning-fast response. A three-year warranty and lamp life of up to 7000 hours means you’ll be enjoying this display for the long haul. Those looking for a sub-$1000 projector would do well to consider the HT2050A. I’m often asked to compare the different BenQ models, and I must say, it has become something of a challenge. No longer can I say Model X is better than Model Y. It seems that every new projector I receive from them performs so close to standard that differences in picture quality are microscopic. For all intents and purposes, their color accuracy is identical. Of course, it isn’t quite as simple as, “pick your favorite.” One must consider throw distance, screen size, and of course, output. Some models are brighter than others. 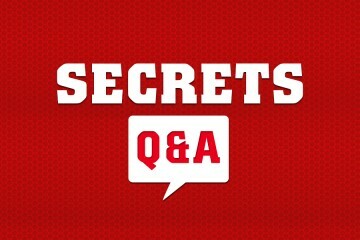 A few offer short-throw lenses or low-lag gaming modes. 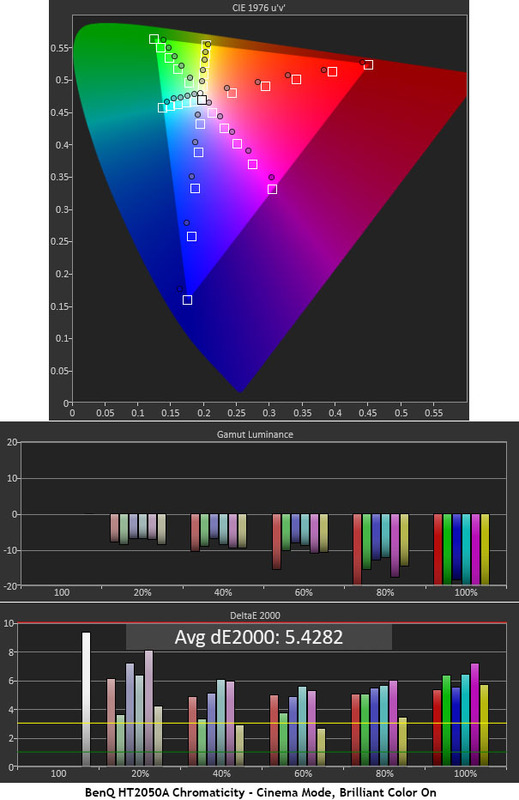 But all can pretty much nail the Rec.709 color gamut at a D65 white point with 2.2 gamma. Today, I’ll be looking at the HT2050A from the CineHome line. These displays are aimed at dedicated theaters and multi-use media rooms. They aren’t super-bright but they offer plenty of output if you have some ambient light. Their main feature is accurate Rec.709 color that covers at least 96% of the gamut. A six-segment color wheel means good saturation throughout the brightness range. For those without an audio system, a built-in 10-watt speaker offers surprisingly good sound. It also offers reasonably bright 3D with next to zero crosstalk. Let’s take a look. The HT2050A is a single-chip DLP employing TI’s DarkChip3 DMD device at 1920×1080 resolution. There is no shifting or other trickery here; it is a 1080p native display with Rec.709 color (96% according to BenQ and my measurements), capable of 60Hz operation over its HDMI 1.4a inputs. The lamp is a 240-watt UHP lamp with a claimed lifespan of 3500-7000 hours depending on mode. Rather than a traditional auto-iris, it throttles brightness in its SmartEco setting for greater contrast. The lens features focus and zoom controls along with something unexpected at this price point, 10% vertical shift. It’s not much but it can help with tricky installations. The offset starts at 105% so regardless, you’ll have to mount the HT2050A either above or below the screen’s edge. Zoom range is 1.3x and distance could be called short-throw-ish. It isn’t quite a closeup display but it will display a 100” image from just over eight feet away. Geometry can be further manipulated with two leveling feet at the rear and a single, spring-loaded leg in front. Auto-keystone is also included though I recommend avoiding it since it reduces resolution. Ventilation happens through generous grills in front and on the sides. Light leakage is minimal and you will want to close the sliding door over the lens controls once installation is complete. Also up top are buttons for power, source, and menu navigation along with three status lights. IR sensors are installed here and on the front for easy control. In back, you’ll find a packed input panel with two HDMI 1.4a ports, separate component and composite jacks, and a VGA connector. Two USBs provide power for accessories and a service interface. Control is possible through a 12v trigger output and an RS-232 input. The grills make it appear as if there are two speakers but it’s actually part of a clever chambering system that broadens the soundstage of a single driver. It’s powered by a 10-watt amp and delivers excellent sound for its size thanks to thoughtful tuning. BenQ calls it CineMaster Audio+ 2 and it involves careful equalization and the use of quality materials like magnesium and rubidium. This is no cheap paper driver. It plays without distortion even at full volume and pumps out a surprising amount of bass. 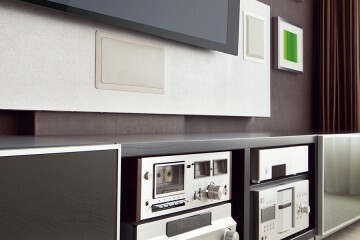 Audio is further supported by RCA and 3.5mm inputs and a 3.5mm output. The remote is compact and fully backlit. Small size dictates that not all discrete functions will fit but you get access to most projector options including power on and off, image blanking and keystone, calibration controls, and transport keys for HDMI CEC sources. The handset is very powerful and had no trouble bouncing commands from the screen or from side walls. I loved its solid feel and positive button clicks. To watch 3D, you’ll need to procure a pair of DLP-Link glasses. BenQ offers them for $59 or you can use the XPand models that I keep on hand, which can be found online for $40-60. Once they’re synced, they’ll work every time you drop a 3D Blu-ray in the player. The HT2050A switched quickly between 2D and 3D and has a separate image preset for the latter that can be calibrated independently of the other modes. If there’s one thing that BenQ has happily left alone with each new model release, it’s the well-designed and intuitive menu system. When you turn on the HT2050A for the first time, it runs you through a brief setup where you specify the projection type (table, ceiling, front, or rear), keystone correction, and a few other options. Then you select basic or advanced menus. Basic is pared down to just essentials like picture mode and the like. 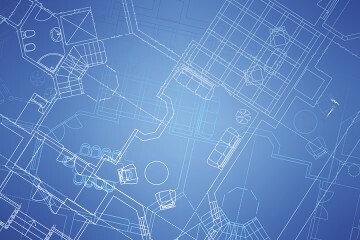 Geeks like me will choose Advanced for its comprehensive set of image options that all work extremely well. There are four picture modes along with two user memories that can be based on any of the presets. You also get a separate slot for 3D that is independently adjustable. Cinema is the best choice for home theater users and offers accurate Rec.709 color with a D65 white point and 2.2 gamma. I found it quite close to standard and only had to make minor tweaks to achieve near-reference level accuracy. The bulb operates in either Economic, Normal, or SmartEco modes. The latter works like an auto-iris to throttle the lamp and increase contrast. Once the calibration is complete, I recommend SmartEco for all viewing as it delivers nearly 2000:1 contrast, excellent for a compact DLP projector. Grayscale can be adjusted with a two-point control that is very precise. Offsets and gains do not interact and it took me less than five minutes to get all errors near to or below 1dE. You also get a full color management system with hue, saturation, and gain (luminance) sliders for each primary and secondary. The gamut is slightly under-saturated in green and blue, and that can’t be fixed by the CMS. I was able to tweak the secondary hues and balance luminance to near-perfection however. Gamma comes in presets ranging from 1.6-2.8 and is also very accurate. The 2.2 setting delivers perfect tracking with no adjustment needed. Brilliant Color is something Texas Instruments has included in its DLP firmware, and it can be found in all BenQ projectors. The Cinema mode turns it on by default but I found greater accuracy with it left off. The effect is a subtle one but I ultimately preferred the image without it. You might like it for bright programming like sports or news but for movies, it flattens the picture slightly. The final option in this menu is the Fast Mode which reduces input lag for gamers. I saw no reason not to leave it on all the time as it has no effect on regular video content. I measured lag at 16ms which puts the HT2050A on par with many computer gaming monitors. My installation was a simple one. The HT2050A went on a small, adjustable-height stand in front of my seating. I didn’t need the lens shift or keystone correction. Focus and zoom interact so some back-and-forth is needed to size and sharpen the image. Once that was done, I closed the lens control door to prevent light leakage. Calibration was quick and easy for both 2D and 3D. Now, it’s time for the fun part. Comparisons between DLP and LCD/LCoS displays come down to three areas, contrast, clarity, and motion processing. The latter has the edge in measured contrast and that is evident in real-world content. But as bright highlights appear, the image takes on greater perceived contrast. It’s nearly impossible to accurately measure an ANSI checkerboard pattern on a projection screen but my eyes tell me that DLP’s intra-image contrast is superior to that of LCD and LCoS. The only place where it falls short is in extremely dark content, like the caves in Prometheus for example. DLP certainly has the edge in clarity and motion resolution. Not only are convergence issues eliminated by its single-chip design, it keeps fast-moving objects clearer thanks to its far-higher response rate. Before delving into the titles I watched, I must give props to the HT2050A’s built-in speaker. I watched all the content using it thanks to a few technical issues I’m currently having with my audio system. I was impressed that even at full-volume, it delivered distortion-free sound with an impressive amount of bass. I settled on Cinema as the best all-around sound mode. Dialog was slightly tubby and bass-forward but I must say, it’s the best speaker I’ve ever heard installed in a projector. I started with DC’s excellent Wonder Woman which is one of the best super-hero flicks I’ve seen of late. It’s full of rich, saturated color and a good amount of material filmed in dark or dusk conditions. Though I never saw truly deep blacks, the HT2050A’s spot-on gamma ensured no details were lost to the murk. Foreground objects popped out nicely thanks to the projector’s quality lens. I saw no loss of resolution at the screen’s edges. And movement looked very realistic as high resolution was maintained. To relate my experience to something familiar, it looked like a top-quality commercial cinema presentation only brighter and sharper. I followed this with a little experiment. Planet Earth II in its Ultra HD packaging does not include a Blu-ray version. By setting my OPPO UDP-203 to Auto output, I was able to play these discs on the HT2050A. Obviously, it’s down-rezzed to 1080p with HDR and extended color data stripped out. But the difference was less dramatic than I expected. The last time I watched this was on a JVC DLA-RS640 and it was breathtaking. But I found myself quite immersed in the BenQ’s presentation. The opening scene with the pygmy sloth showed every hair of its grass-like fur in exacting detail. I missed the deepest blacks but that was about it. This film represents reference-quality video and the HT2050A handled it with ease. Color me impressed. To check out the HT2050A’s space-rendering chops, I turned to Gravity. There are many bright highlights in the various floating objects encountered by our hapless astronauts. These served to make the background seem blacker. I had no trouble picking out the tiniest stars, even when the camera was wheeling about. The detail in the CGI Earth was simply stunning. With 3D relegated to a niche genre, I haven’t added any new titles to my library in quite some time. So, I turned to my standbys, Avatar and A Christmas Carol to enjoy on the HT2050A. James Cameron still holds the title of benchmark in this category as his work has yet to be eclipsed. The picture was bright enough to keep me immersed but contrast is lower than in the projector’s 2D mode. Switching the lamp between Normal and SmartEco makes little difference in this case. Since crosstalk is essentially non-existent, there was no ghosting or softness. Moving objects retained their sharp edges and popped out nicely from the background. And color remained rich and saturated despite the narrower dynamic range. A Christmas Carol is loaded with dark and murky material. As long as there were highlights on-screen, I didn’t want for deeper blacks. In one scene, the camera pans around Scrooge’s office and reveals a window to the outside. As the window grows in size, the scene’s dimensionality increases right along with. This is a strength of DLP. All one needs are a few bright spots to drive perceived contrast to high levels. To test the HT2050A’s color accuracy, I measured from the lens with an X-Rite i1 Pro Spectrophotometer fitted with a diffuser attachment. Luminance readings were taken with a Spectracal C6 tri-stimulus colorimeter facing a 92” diagonal Stewart Filmscreen Luminesse with Studiotek 130 material, gain 1.3, at a 10-foot distance. Patterns were generated by an Accupel DVG-5000 and controlled with CalMAN, version 5.8. The HT2050A comes out of the box in its Vivid TV mode which is fine for rooms with some ambient light, but theater geeks like me will head straight for the much-better Cinema mode. One can stop there and enjoy about 95% of the projector’s potential performance with one caveat, you’ll want to turn off the Brilliant Color option which is on by default. 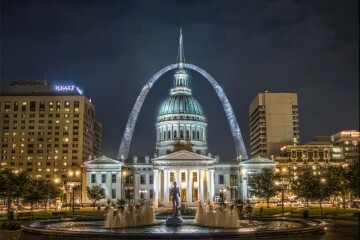 The differences in image fidelity are subtle but the i1 Pro tells a clearer story. Grayscale runs decidedly green with an average error of over 6dE. This alone isn’t a big deal but I saw more obvious effects in the color charts which I’ve included below. Simple solution – turn Brilliant color off. Grayscale is still a bit lacking in blue but the green tint is nearly gone thanks to an increase in red. In either case, gamma tracks perfectly along the 2.2 line. I wish there were a BT.1886 option since much of today’s content is mastered that way. The average error has now dropped to just over 4dE. You’ll see a bit of extra warmth from 50% brightness and higher. A few tweaks to the RGB sliders unlocks the HT2050A’s full performance potential. We’re looking at reference-level grayscale tracking here. This chart is what I’d expect from a high-end projector or professional monitor. Gamma is still ruler-straight except for a tiny dip at the 10% level that is completely invisible to the naked eye. This is what I’m seeing from most of BenQ’s current lineup of displays. The CIE and color luminance measurements paint a clearer picture of Brilliant Color’s effects. When it’s turned on, red and blue are slightly under-saturated which pulls in the magenta secondary along with. Luminance levels are also too low across the board. Looking at this chart, one would think it’s the opposite of brilliant. In practice, the difference is hard to spot but one cannot ignore the tale of the spectrophotometer. You can also see that the triangle is affected by a slightly-green white point. Turning off Brilliant Color changes the luminance chart dramatically. Saturation points are now closer to target as well. One could stop right here and be satisfied. The average error is now reduced to 3.4145dE from the default value of 5.4282. We’re almost there! Grayscale calibration and few slight changes to the color management system brings all color errors to less than 3dE except for 80 and 100% green. That primary is still a bit under-saturated and off in hue. The CMS does a great job of balancing luminance but it can only reduce saturation, not increase it. With an average error of just 1.8444dE, I’m not complaining. This is excellent performance. Remember that the HT2050A costs just $749. Kudos for BenQ’s devotion to accuracy. The HT2050A displays exemplary video processing, failing only the 2:2 cadence test which almost no projector or television can pass. Above-white and below-black are passed in component signal modes but not with RGB formats unless you set HDMI Format to Full in the OSD. 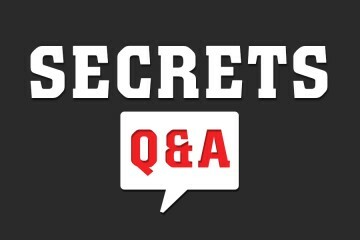 This is not an issue as almost no content has information below digital 16 or above 235. And it’s better to use the projector’s full dynamic range anyway. I was impressed by the complete lack of ringing, obvious anti-aliasing, or line-twitter in the jaggies test. I was also able to max the sharpness slider at 15 with no ill effects. Any artifacts you might see on an HT2050A will come from the source material, not the display. The HT2050A offers plenty of output in all three lamp modes. I calibrated in Economic which tops out at 135 nits, has a black level of .0994 nits, and a contrast ratio of 1355.2:1. Setting the lamp to Normal ups white level to 197 nits with .1481 nits black and contrast of 1331.3:1. This demonstrates consistency at all light levels which means you’ll see the same picture quality regardless of lamp mode or throw distance. To maximize dynamic range, I watched all content with the SmartEco option which throttles bulb output based on content, much like a dynamic iris. There, the white point is 196 nits with .0984 nits black and 1988.8:1 contrast. I saw no image pumping in this mode and used it for all viewing. For maximum brightness, choose the Bright mode and Lamp Native color temp. The picture is decidedly green but manages to pump out over 315 nits with .1627 nits black and 1937.4:1 contrast. Some clipping occurs in highlight and shadow areas so I only recommend this mode for brightly-lit spaces. 3D output is respectable at 25 nits with .0364 nits black and 683.2:1 contrast. While I consider this just over the acceptable output level, contrast is a bit lacking. That being said, the HT2050A’s clarity and high motion resolution help make up for this deficiency. 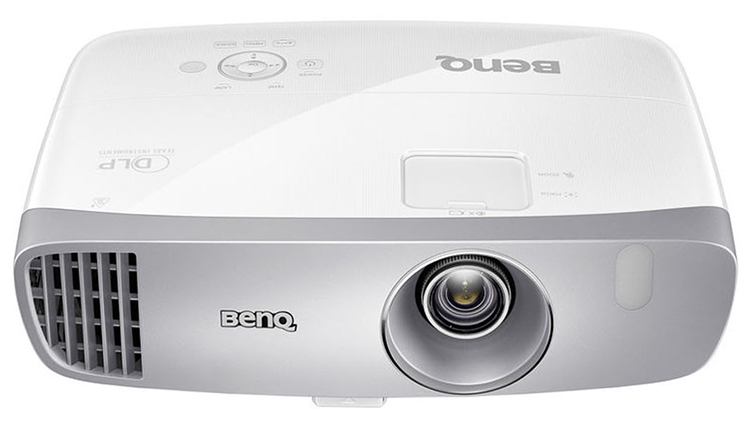 THE BENQ HT2050A 3D DLP PROJECTOR offers amazing accuracy and a clear, bright image for just $749. At this price point, it has no serious competition. 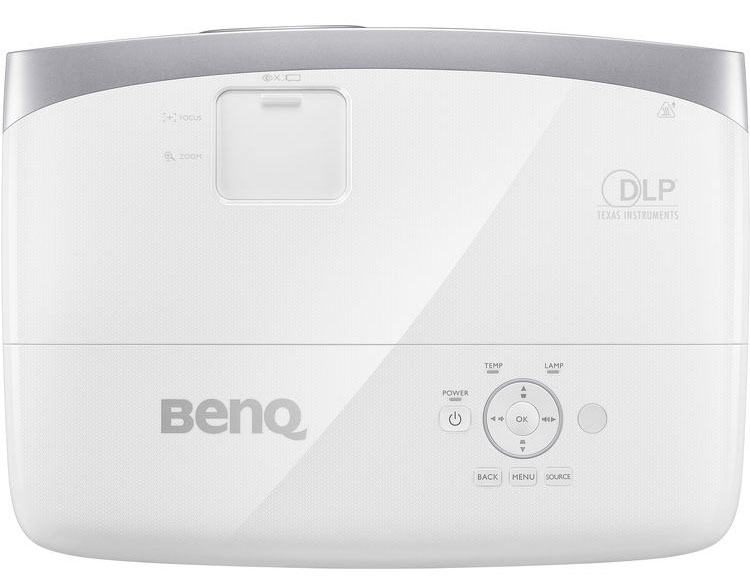 The BenQ HT2050A 3D DLP Projector has no faults to speak of. At just $749, one could not expect more from it. It’s a bright and sharp 1080p display with near-perfect video processing, excellent color accuracy, simple and quiet operation, 3D, and a three-year warranty. It connects to the latest digital sources and provides analog ports for older components or computers. Though it requires little adjustment, every image control a videophile could want is provided. One might find greater contrast in an LCD or LCoS display, but that extra dynamic range comes with a cost, and I don’t mean a monetary one. DLP is simply unmatched in clarity, at all price levels. With a single imaging chip, you’ll never see a convergence error. That, coupled with its superior motion processing, means the picture is always sharp and you won’t need to spend thousands of dollars on a projector with a high-end lens. I’m always impressed by BenQ’s compact DLPs and the HT2050A one of the best I’ve reviewed thus far. Only the Ultra HD HT2550 is sharper and it can’t deliver the black levels of its less-expensive stablemate. If you are building a budget home theater, 1080p still has a lot to offer. While things like extended color and HDR are great, they are not quite yet in the “gotta have” category, at least not where projectors are concerned. The HT2050A can breathe a lot of life into good ole’ Blu-ray; enough so that I have no problem giving it my highest recommendation.